WOW! What an Open Championship that was. There will be those who will say that Royal Troon was too easy, that The Open should never be won with a 20-under total. Ask Rory McIlroy, who broke a club in frustration, ask Rickie Fowler, whose chances ended with an eight in the third round, ask Branden Grace and Jamie Donaldson, who finished with rounds of 77 and 79 respectively, if they thought the course was too easy. 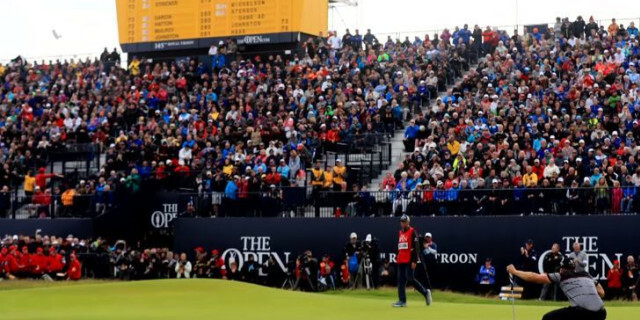 Henrik Stenson and Phil Mickelson treated us to a final day the likes of which we haven't seen at a major championship since Tom Watson and Jack Nicklaus, then the best two golfers in the world, went head to head at Turnberry in 1977. This day was on a par with that - in fact, it was better. If you had offered Mickelson a 65 before a shot had been struck, do you think that he would have taken it? Of course he would. He would have bitten your hand off, signed the card and happily put his feet up. 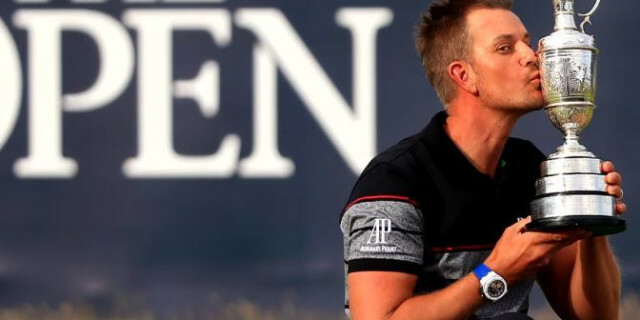 Stenson's 63 was an extraordinary round of golf, and let's not forget that he dropped a shot at the very first hole, going from one in front to one behind in the blink of an eye. He then birdied the next three holes, but Mickelson threw an eagle at him at the fourth hole. It was a case of anything you can do, I can do better. Too easy? Take Stenson and Mickelson out of the equation and in third place was JB Holmes on six under par, winning the tournament within the tournament. Holmes played superbly for all four days, yet he finished 11 behind his fellow American and FOURTEEN strokes behind Stenson. The top two inspired one another to ever greater deeds over the last 36 holes, just as Watson and Nicklaus did all those years ago. Make no mistake about it, in any other year, Holmes 278 total would have been good enough to win this championship. But in this week, on this piece of Scottish land, two men found a different gear and treated the golfing world to a display of stroke-making the likes of which we may never see again. Troon is not an easy links, but these two made it look that way. Stenson birdied a hole, Mickelson followed him in. On and on it went. It was breathtaking. But even at the final hole it may well have turned out very differently. Stenson hit a three wood because with that club he knew that he would be unable to reach the right-hand fairway bunker 315 yards from the tee. But he failed to take account of the adrenaline pumping through his veins and finished inches short of the sand - had his ball trickled in, it is highly unlikely he would have been able to reach the green, and who knows what might have happened? As it was, he struck yet another majestic iron shot and holed the putt for a birdie, a round of 63 and a place in history as the first Swede to win a major. Just for good measure, his winning total of 264 was another record. There was so much to enjoy about this tournament. It was fabulous to see Mickelson in full flow once more. It was frustrating to see McIlroy so close to his best but still unable to hole the putts that mattered. He finished with a 67 that could so easily have been five or six shots better. And then there was Andrew "Beef" Johnston, the most unlikely of golfing heroes. The Englishman tips the scales at 16st, sports a long shaggy beard and looks like he needs a trip to the dentist. But here he was, living the dream. Cheered on to every tee and every green. "Beef" Beef" Beef!" How he loved it. And do you know what? This guy can play. He has already won the Spanish Open this season and his eighth-place finish here means he will be back next year and has him knocking at the door of Darren Clarke's Ryder Cup team. What a week, too, for another young Englishman, Tyrrell Hatton. He nearly won the Scottish Open at Castle Stuart, and here he was at Troon mixing it with the best in the business, his final round of 68 giving him a share of fifth place with McIlroy, one shot behind the ageless Steve Stricker. You have to take your hat off to Stricker - he is 49 years old, plays only a handful of tournaments every year, but still contends. Dustin Johnson, the US Open champion, was not at his best but still finished in the top 10. It was a week to forget for Jason Day, Rickie Fowler and Jordan Spieth, but they will all live to fight another day. For now, we should take the time to savour the events we witnessed on the West coast of Scotland and be thankful. This is as good as golf gets.